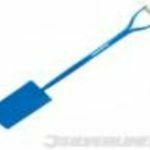 Taper mouth shovel ideal for working with concrete, tarmac & digging. Heavy duty solid forged head with tubular steel shaft & MYD handle. Individually tested to British Standard. 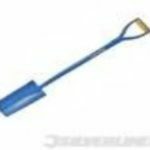 Cable shovel for digging & bottoming narrow trenches for cables. 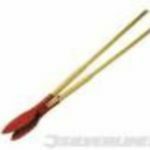 Heavy duty solid forged head with tubular steel shaft & MYD handle. Individually tested to British Standard. 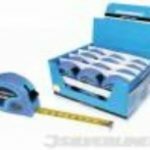 Measure Mate tapes feature a rugged rubber grip case, blade lock, blade brake, three rivet tip with wrap around reinforcement & automatic blade return. EEC Class II accuracy. Fantastic value for money. Sturdy oval section frame with quick release tensioner for easy blade changing. Ergonomic handle with integrated handguard. 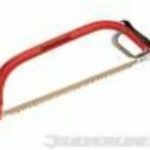 Ideal for cutting larger logs and trees. Hardened and tempered carbon steel blade with protective plastic sleeve. 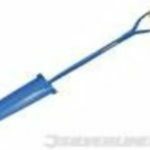 Long narrow blade for digging out drain & pipe channels. Also useful for fence posts. Heavy duty solid forged head with tubular steel shaft & MYD handle. Tested to British Standard. 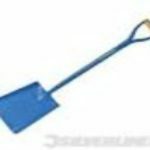 No.2 square mouthed shovel. Heavy duty solid forged head with tubular steel shaft & MYD handle. Individually tested to British Standard. 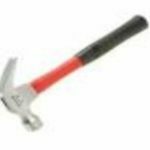 Solid forged claw hammer with impact absorbent handle. 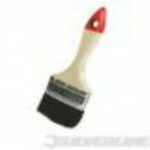 100mm budget disposable brush with pure bristles and wooden handles. 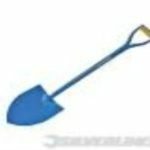 Larger digging shovel. 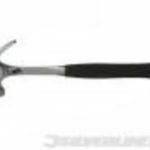 Heavy duty solid forged head with tubular steel shaft and MYD handle. Individually tested to British Standard. Strong nylon line on a convenient spinning reel. Easy to rewind. 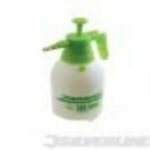 General purpose pressure sprayer with ergonomically designed carry handle features translucent container, long reach lance with fully adjustable nozzle, safety valve and carrying strap. 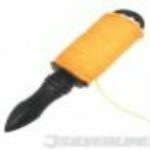 Ideal for digging fence post holes. 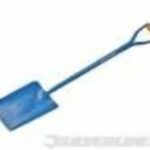 Removes soil more quickly & easily than a spade. Produces deep, narrow, vertical side holes requiring less concrete to fill. Hardwood handles & steel blades. 1560mm long. 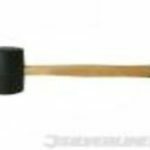 Wood shaft solid rubber mallets. Available as 24oz.